The X-Pro 2 is Now In Stock! Amazon, B&H Photo, Adorama have all started shipping cameras. 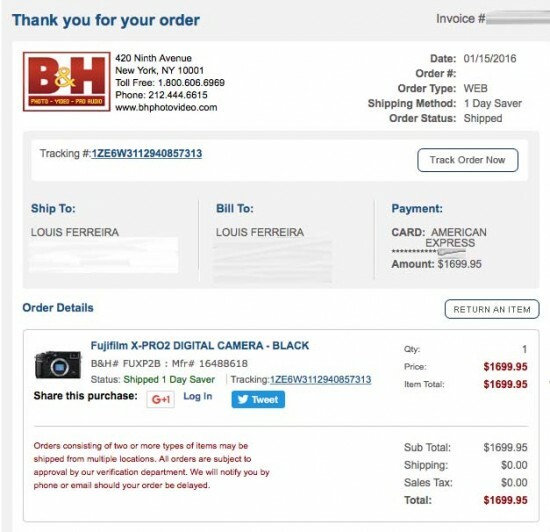 If you order from B&H Photo you can add the XF 35 F2 and save $100 by clicking on ESSENTIAL KITS. I highly recommend this lens. It is one of my favorites at the moment. This entry was posted in Fuji X-Pro2 and tagged Fuji Rumors, Fujifilm, Fujifilm Rumors, FujifilmRumors, Fujirumors. Bookmark the permalink. Trackbacks are closed, but you can post a comment.